India’s growing engagement with Iran post the sanctions to ensure an uninterrupted supply of fertiliser to its farmers may not yield the desired results, with its plan to set up a urea plant in Iran hitting the skids. 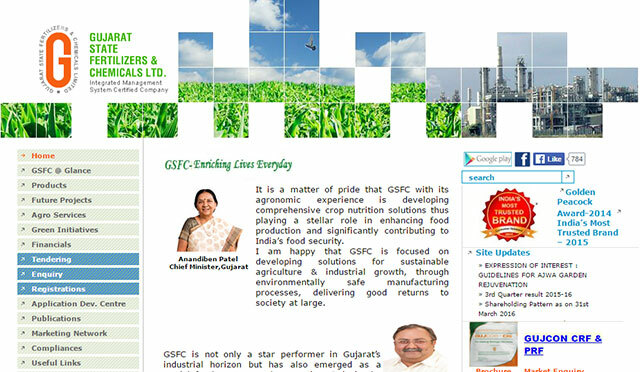 Gujarat State Fertilizers and Chemicals Ltd (GSFC), one of the Indian firms nominated by the government for implementing the project, wants to exit the partnership. This comes in the backdrop of India trying to build a strategic partnership with Iran with Prime Minister Narendra Modi likely to travel to the Persian Gulf nation this month. Given the so-called big oil’s, a group of the world’s largest oil companies, growing interest in Iran, India’s petroleum minister Dharmendra Pradhan visited the resource rich country in April. It was followed by foreign minister Sushma Swaraj’s visit to Iran. India’s plan is to set up a joint venture project for producing 1.3 million tonne (MT) of urea in Iran which used to be its preferred crude oil supplier. The production meant for India’s consumption is to be done by Indian joint venture partners--Rashtriya Chemicals and Fertilizers Ltd, Gujarat Narmada Valley Fertilisers and Chemicals Ltd and GSFC. “GSFC has communicated to the ministry of chemicals and fertilizers that it is exiting the consortium,” a senior Indian government official said requesting anonymity. The official added that one of the reasons behind the lack of interest on the part of GSFC may be availability of funds. The total investment required to set up a fertiliser unit of 1.3 million tonnes (MT) capacity is around Rs5,000 crore. India’s demand for urea in 2015 was 31 MT out of which around 8 MT was imported mainly from China and Iran during the financial year ended 31 March 2016 at an average price of $279.02 per tonne. The National Democratic Alliance government has focused its energy on reviving the rural economy making irrigation and urea availability an important part of its game plan. Another government official aware of the development said that GSFC is being persuaded to stay back in the consortium. The official did not want to be named. “The Indian companies have appointed SBI Capital Markets Ltd to identify Iranian partners for the joint venture project,” Hansraj Gangaram Ahir, minister of state for chemicals and fertilizers informed the Lok Sabha on 10 March. According to senior officials quoted above, SBI Capital Markets has shortlisted two Iranian companies--Pasargad Energy Development Co. and Sahel Darya Petrochemical Development Co. as partners. The final partner is yet to be selected, after which partnership contours will be defined. Experts believe that a committed quantity of gas for the fertiliser unit and price of gas needs to be sorted out before the deal is done. “Availability of land and off-take price agreement needs to be in place too,” said Atul Chaturvedi, former fertilisers secretary. Queries emailed to the spokespersons of the Prime Minister’s Office, chemicals and fertilizers ministry, GSFC and SBI Capital Markets on 28 April remained unanswered. According to an 8 March report by the Press Trust of India news agency, Ahir said that India expects gas at a price of $1.5-2.5 per unit for its proposed urea plant in Iran. Some of the marquee projects pursued by India in Iran include the Chahbahar port, Farzad-B gas field in Farsi block and India-Iran-Afghanistan Trilateral Transit Corridor.